I’m attempting to add identifications of the bushes, flowers, etc. to my map. 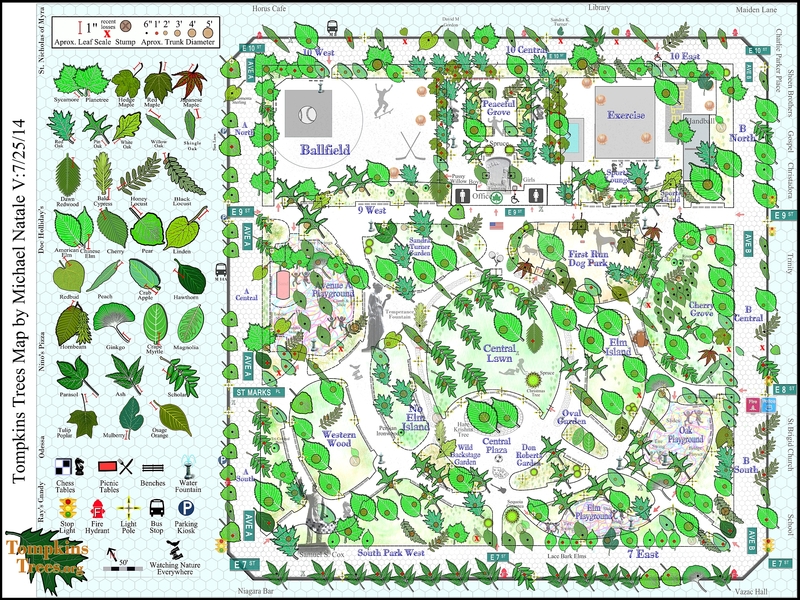 It is slow going, but I may have some of the garden maps posted soon. Thanks to the members of Flickr’s What Plant is That group, I’ve managed to identify these residents of Tompkins Square Park. 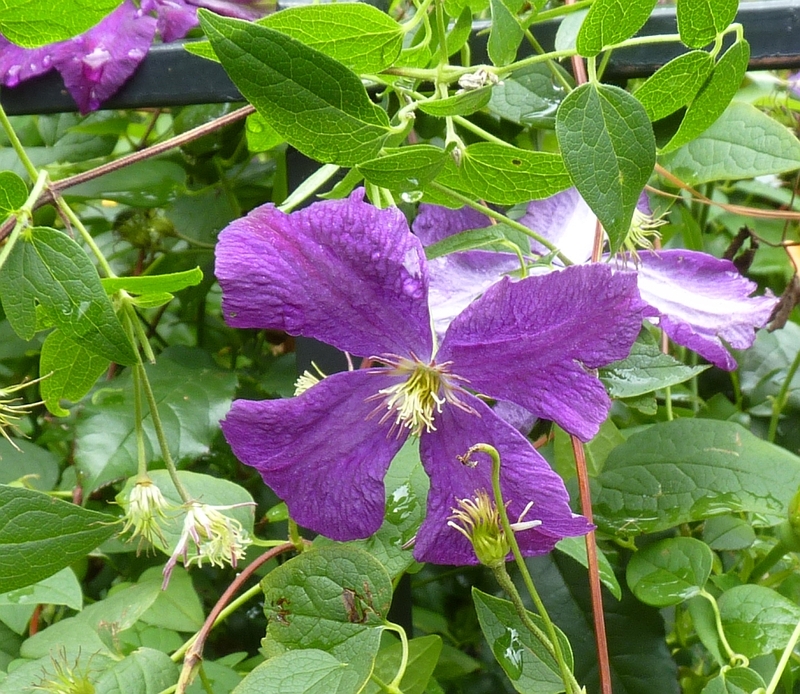 This is a Clematis growing in the Don Roberts Garden. 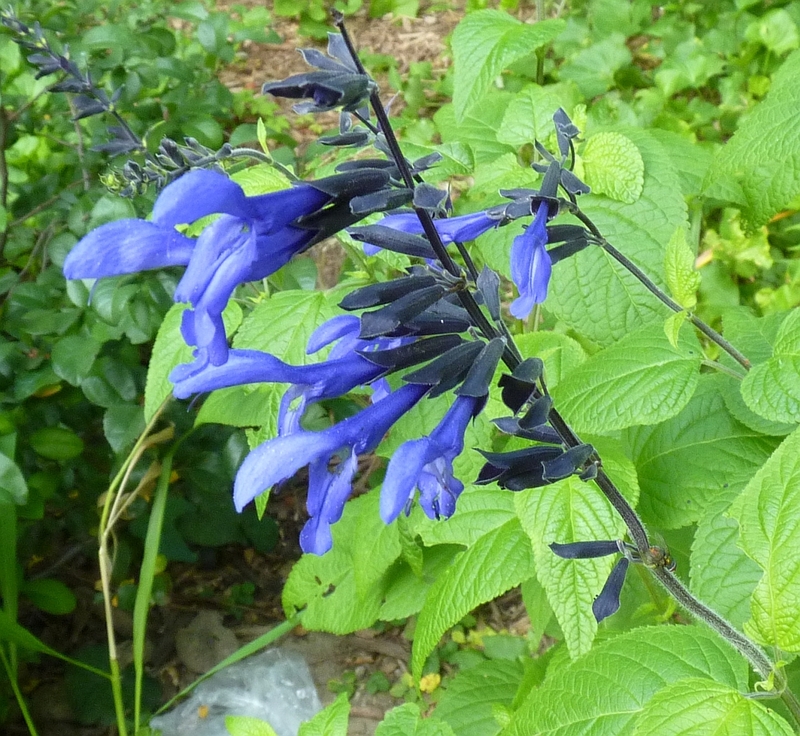 Salvia Gurantica “Black and Blue” in the Cherry Grove. 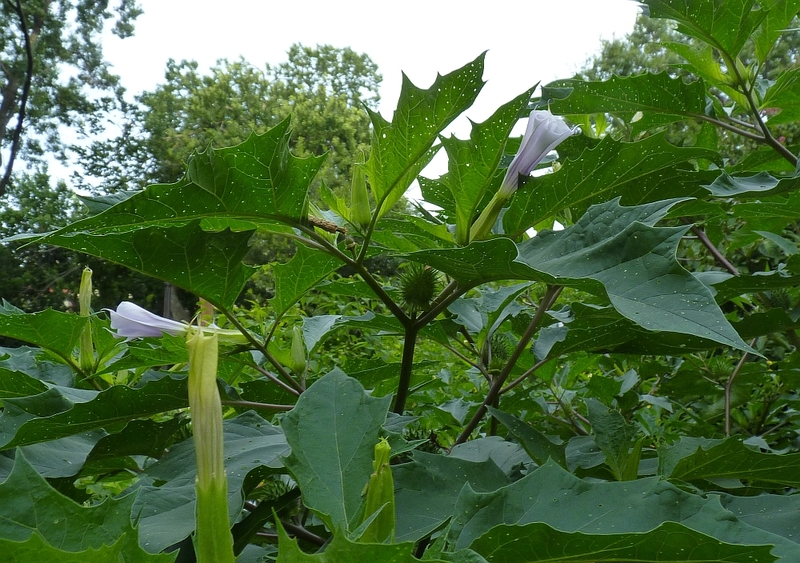 Datura or Jimson Weed growing robustly in the Oval Garden. It has since been removed. It is a psychedelic and poisonous plant, but it is very beautiful. I want to thank the 20 or so people who came to the tree identification walk yesterday. Much thanks for the large turnout goes to EV Grieve, it seems like everyone in the neighborhood reads Grieve. If interest is expressed, I’ll do more walks. Your feedback was much welcomed. I am incorporating new features into the latest version of the map accordingly. Use the contact form to tell me whatever. You can also use the contact form to say you wish to be informed of future walks and news. Are you interested in obtaining high resolution, wall-sized or fold-up map? I am thinking of doing this to help finance this project, as I receive no grants or funding. 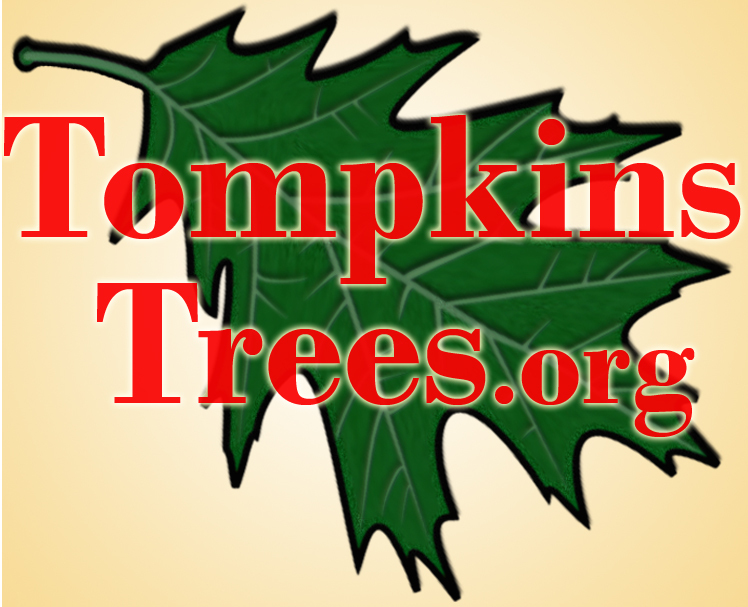 I’m holding two tree identification walks tomorrow, Saturday, July 26, 2014 at 9AM and 5PM in Tompkins Square Park. I’m hoping to attract a few local tree and gardening experts to help me out in this. The public is invited, I’ll share what knowledge I have of the trees and the park in general. Please print your own map from the image I’ve posted on this page. But if you can’t do that, I’ll have a few maps on hand. Meet in the Central Plaza near the Hare Krishna Tree. My latest version of the Tompkins Trees map. Mostly I’ve indicated which trees have died recently (X marks the spots). We lost three large Crab Apples within the park, and several other small trees on 10th street. The street trees along 10th street have a high mortality rate, probably due to proximity to the Con Edison steam pipe running next to the south curb there. Also I’ve added an icon for all the Shingle Oaks that were planted around the perimeter this Spring. This image will print nicely on a letter size page.